Scott Sommerdorf | The Salt Lake Tribune Conference attendees moved about near the waterfall prior to the afternoon session of 186th Semiannual General Conference of the LDS church, Sunday, October 2, 2016. Chris Detrick | The Salt Lake Tribune Conferencegoers in Temple Square before the afternoon session of the 187th Annual General Conference at the Conference Center in Salt Lake City Saturday, April 1, 2017. These are among the findings of researcher-writer Jana Riess&apos; 2016 Next Mormons survey, drawn from 1,155 currently identified Mormons. Responses by 541 former Mormons or those who have left The Church of Jesus Christ of Latter-day Saints, Riess writes on her "Flunking Sainthood" blog for Religion News Service, "are tabulated separately." 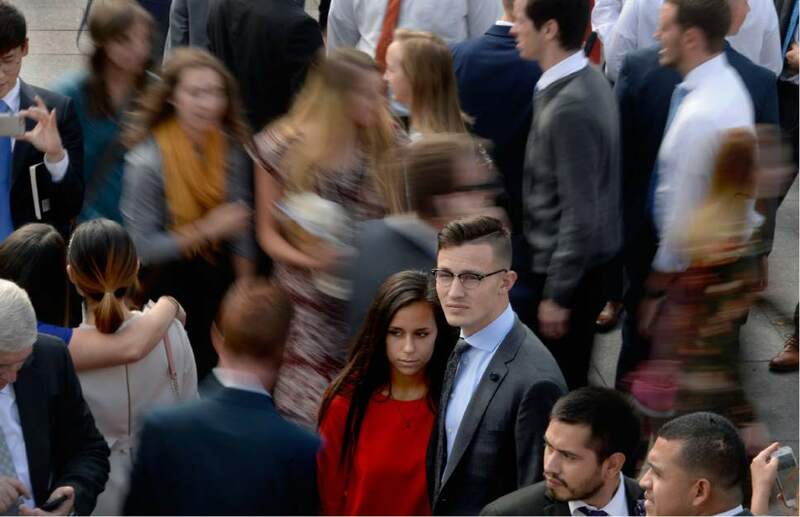 For her purposes, the LDS writer defines millennials as being born between 1980 and 1998, "the youngest generation of adult Mormons." Eight in 10 are white, compared to Mormons age 52 and above, who are 93 percent white. More than half (53 percent) are married, and "they&apos;re not delaying marriage like many other millennials." They are strong believers in God (about 90 percent) and 82 percent say they feel the presence of deity "at least once a week. And they like to talk about their faith. "Two-thirds of millennials share their views of God at least once a week," Riess writes, "the highest of any Mormon generation." When it comes to supporting their church financially, seven in 10 pay a "full tithe," but many donate a "tenth" of their net income. Older faithful Mormons more commonly pay from their gross income. As to politics, older Mormons "skew heavily Republican," but LDS millennials are spread more evenly across the political spectrum  46 percent GOP, 41 percent, Democratic, and 13 percent independent. Despite all the hand-wringing by top LDS authorities about young people putting off marital commitments, Riess says, "there&apos;s no evidence that either current or former Mormons are in fact delaying marriage." 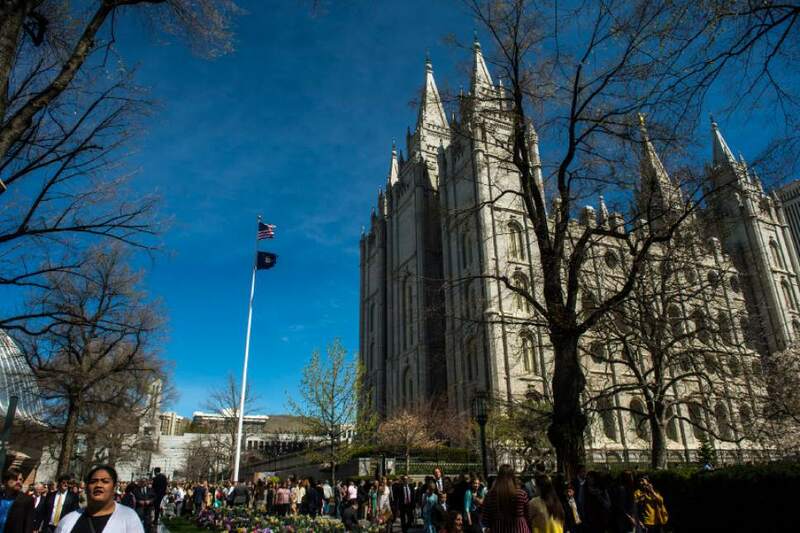 Of millennials who get married, the survey finds "the median age for current Mormons to do so is 22, and for former Mormons it&apos;s 23."